It’d be a unanimous view that the future looks bright for emerging three-year-old Baller and the shape of that future will become clearer at Rosehill on Saturday. Baller's co-trainer Edward Cummings (Pic: Bradley Photos). 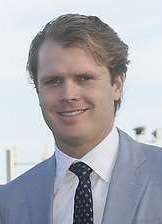 Co-trainer Edward Cummings said Baller, a winner of two of his three starts, strikes him as a Group performer in 2019 and wants to plot the right path to realise that potential. He’s eligible for the Magic Millions but Cummings said nothing is on the table until after the 2019 Membership Handicap (1400m), where he opened $2.70 favourite with TAB. “We need to consider what’s going to be in his best interests if we are going to tackle some of the nicer three-year-old races in the autumn,’’ Cummings said. “Obviously we understand we’re coming up against a sensational colt in The Autumn Sun, we arguably have a good opportunity with the Magic Millions, but it’s about working with the owners and coming up with a plan everyone is happy with. Baller surprised many with his debut win as a $61 chance at Kembla in October. He was well supported at his city debut, over the Rosehill 1400m, but was run over finishing fourth behind Royal Celebration before his dominant 3.3 length victory against older horses on the Kensington track on November 22. On that occasion he scooted home in 34.44 for his last 600m, running the fastest last 200m of 11.70 (Punters Intel). Cummings said the High Chaparral colt, a $160,000 yearling, always struck him and his father, co-trainer Anthony Cummings, as an impressive type who would only improve with time. “If you had a stable full of horses that look and walk like him and went to the races and do what he’s able to do you’d be over the moon,’’ he said. “The physical stature of Baller at the yearling sales, and from every stage of his career at Leilani Lodge, he’s always looked like the horse we are now talking about. So the next step on that rise is to bank another $58,000 by beating a handy bunch of three-year-olds and underline that talent Cummings is adamant he possesses. Importantly, he said Baller pulled up in perfect shape after his Kensington win. “He had to work too hard at Rosehill second-up and that was the only time he felt like he had a run and pulled up accordingly,’’ he said. “It was in the back of our minds going into that race third-up what might have been taken out of the tank. Meanwhile, Cummings said in-form galloper Sky Boy is progressing as planned towards Saturday week’s Group 2 Villiers Stakes (1600m) at Randwick. The four-year-old, a winner of his last four starts, accounted for Fierce Impact over 1800m on November 24. “I was concerned about the firmness of the track and how he’d go,’’ Cummings said.